Android is an open-source operating system that is partly developed and modified by Google. As a result, Android come pre-installed virtually in all smartphones and other devices along with closed source apps and services including the Google Play Store, YouTube, Gmail, and Google Maps. This leaves no alternative for the manufacturers to make any changes to the operating system. Similarly, users who do not want to opt for Google services will not get a Play Store and ultimately almost no apps. To break the dominance of Google on Android, Gael Duval, a former Linux developer and creator of now defunct but once hugely popular Mandrake Linux (later known as Mandriva Linux), has developed an open-source version of Android that is not connected to Google. Dubbed as ‘eelo’ that uses only free and open source software (FOSS), this will be an open source, non-profit project that will aim to free users from tech corporates like Google and Apple who invade our privacy by selling our data to advertisers. “I’m not happy with this situation because iOS is proprietary and I prefer Open Source Software. I’m not happy because Apple is getting crazy with their latest products. They are more and more expensive, and not really exciting. “Also I’m not happy with Google and others. They have become too big and are tracking us by catching a lot of information about what we do. They want to know us as much as possible to sell advertising. Like millions others, I’VE BECOME A PRODUCT OF GOOGLE. “I want to stop that, at least for myself. People are free to do what they want. They can choose to be voluntary slaves. But I do not want this situation for me anymore,” Duval said. Basically, just a fork on LineageOS, an open source Android distribution, eelo will be more than just a mobile operating system and have its own associated web-services such as email, cloud storage and online office tools. It will focus greatly on personal data and privacy. “eelo is going to inform users why data-slavery is not a fate. And eelo will provide credible alternative to users who care about their data-privacy: mobile phones and smartphone operating systems, and associated web-services. [In] the long term we want to provide a full digital ecosystem, including PC operating systems, personal assistants, [and] web APIs,” the official site of the project reads. Duval wants to “reconquer his privacy, and make sure that his data remains his data”. The company has issued a three-year roadmap regarding its plans, which are not mentioned on the Kickstarted campaign. During the first year, the team hopes to have a downloadable ROM for several devices and to have released the eelo web services. 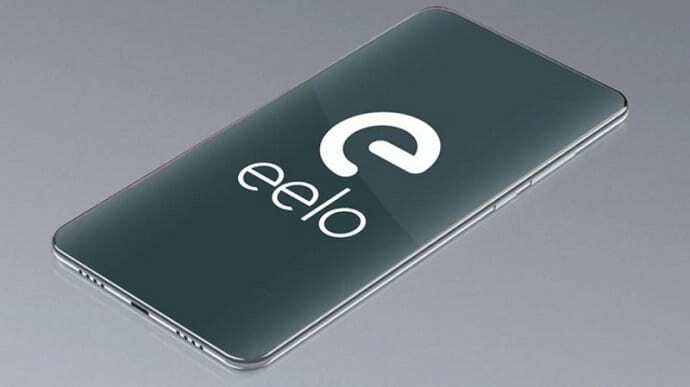 Further, it has plans to release eelo OS for PC in the second year, and release its own smartphone and a digital assistant in the third year. Without making any compromise to the functionality, Duval wants to replace every single Google app with a free or open-source alternative that offers the same rich set of features. For instance, Google Maps will be replaced by OpenStreetMaps. eelo uses F-Droid and APKPure instead of the Google Play Store, and Google Drive will be replaced by services like NextCloud or OwnCloud that will allow the user to set up their own personal cloud file server. The team has already started working on a prototype of its mobile OS that features the newly developed BlissLauncher 2. There’s a Kickstarter campaign for those who are interested in supporting and/or following the project.